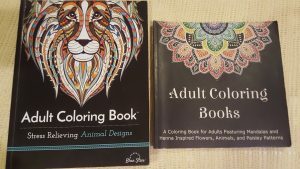 I chose these books because I thought I would be interested in coloring different animals, mandalas, and paisley patterns. I know that I like variety, and I did not want to become bored with coloring pictures that revolve around the same subject. Since I had purchased these books online, I had hoped that I would like the pictures and that the pictures will be simple and not difficult to color. Well, I was lucky; the pictures in both books varied in degree of difficulty and detail. The only drawback to these books was that the pages are not perforated. If you want to frame any of the pictures, you will have to use either a hobby knife or scissor to cut the pages out. Otherwise, you might tear the picture if you try to rip the pages out of the book. What sold me on purchasing this book is that I’m getting more bang for my buck–2 books in one. Another selling point for me is that the pages are easy to tear out, making the pictures suitable for scrapbooks or framing. This book also has perforated pages for easy tearing out. However, what I like about this book is that each picture has a notable quote from a famous person, and I really enjoy coloring the pictures. 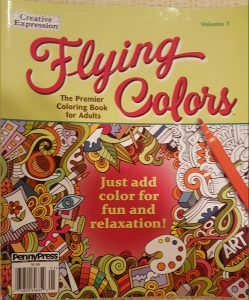 The pictures in this book are mostly abstract art which challenges me to color by mixing different coloring utensils–markers, ink pens, gel pens, and color pencils. Another factor to consider in purchasing a coloring book is the price. The prices for adult coloring books vary widely; it’s really up to you as to how much you are willing to spend. Perhaps the more pictures, better paper quality, subject type, or artist(s) behind the drawings may or may not affect the price of the book. I purchased this book because it is more or less a traveling coloring book. It is small, compact, and easily fits inside my pocketbook. I take it to work so I can color during my lunch breaks. 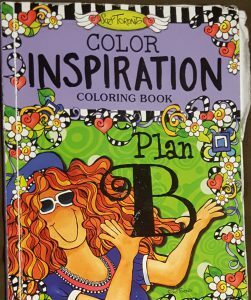 So if you want to color on the go, a small sized coloring book may be the perfect choice. If you really do not want to spend any money towards purchasing an adult coloring book, you don’t have to. There are websites on the internet where you can print images to color for free. 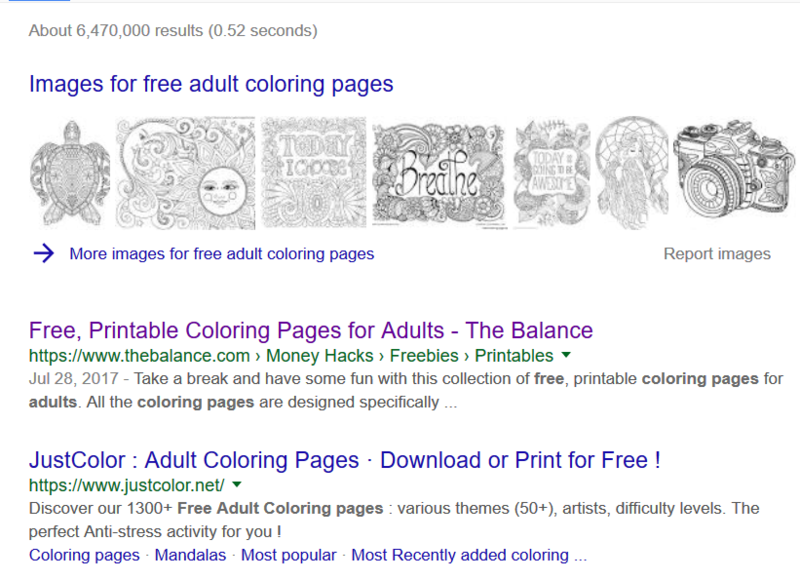 I did a Google search using the term “free adult coloring pages” and I received about 6.4 million results. This just goes to show you how popular adult coloring is. I would recommend this option if you are unsure about whether or not you will like coloring and just want to try things out. 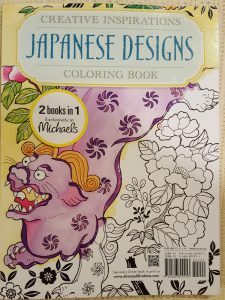 It is my sincere hope that after reading this post, you will have a better understanding of how to choose a coloring book. 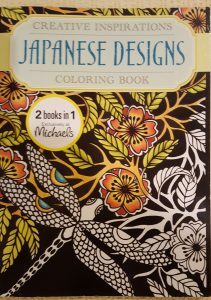 Since I purchased my first two coloring books from Amazon, I have bought several more since. I now find myself coloring pictures from one to three books at a time, mainly because I get bored with coloring pictures from one book until I finish it. Whenever boredom sets in with coloring a particular picture, my advice is to stop coloring, take a break, do something else, and come back to coloring later. (Don’t worry–there is such a thing as getting tired of coloring, lol) Keep in mind that there is no rule stating that you can only color from one book at a time. It’s perfectly okay to skip around and color pictures from one book to another–it all depends on your current mood or emotion. I am not suggesting that you do exactly what I have done. I am only providing you with an option of how to go about choosing a coloring book when getting started. The most important thing is to just get started. Have any questions or comments? Please feel free to share them in the space below–I really want to know if anyone else feels the same or has some other viewpoint to share about this topic. Have a wonderful day, and happy coloring!